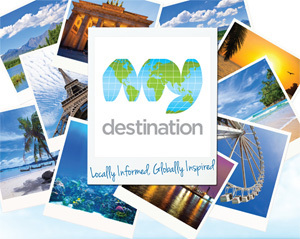 My Destination is a global travel resource powered by a diverse community of local experts on the ground, providing unrivalled local knowledge. We make travel experiences more enriched, more enjoyable and quite simply, better. Established in 2006 we now cover over 100 destinations world wide and are growing rapidly. "I'd been looking for the right opportunity for a web-based business for several years. When I came across My Destination, I was pretty sure I'd found it. After meeting the team my thoughts were confirmed. Everyone has been, and continues to be, extremely helpful and supportive, with a response rate verging on 'instant'." We are passionate about providing the best value for money, we work closely with the global players whilst also supporting local businesses. Our local experts produce comprehensive information with unique travel articles and guides, insider tips, videos and panoramic virtual tours. Through interactive features, visitors can personalise, share and inspire their travel experiences. As a local expert, you would be providing information about the destination you know best while our team supports you in every aspect of the business. If you love to interact with people in the community and you want to show off the destination you live in to the world, then this could be the perfect opportunity for you. Having already launched two new destinations in Ireland in 2013 - County Clare and Dublin - My Destination is now actively franchising different areas within Ireland and Northern Ireland. If you feel that this might be the business opportunity youÕve been waiting for, then please get in touch with us today.